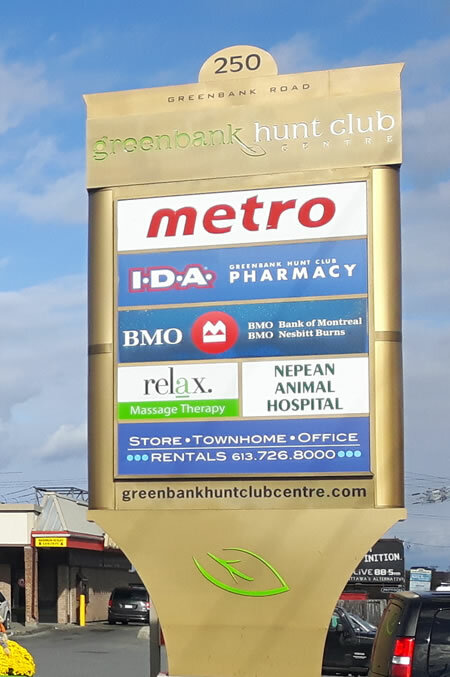 Greenbank Hunt Club Centre is a neighbourhood shopping centre offering a one-stop shopping experience for local residents and some specialized retail and professional services for others in the National Capital Region. With three access points and a newly installed traffic signal, accessing our Centre for a quick pick-up will be a breeze. The Centre also includes office space with tenants offering medical, dental, financial and other professional services. Managed by Burnford Realty Limited, a family owned and operated management firm with hands on interest in your shopping experience, you are sure to be well served. For opening hours and to contact individual stores or businesses, please use the store list.